One early morning last week at about 12:50 a.m., I checked my Instagram feed and saw an announcement for an upcoming collaboration between London skate brand Palace and luxury American brand Polo Ralph Lauren. I immediately took a screenshot of the page and sent the picture to three of my closest friends. In the 20 seconds it took to do that, I was reminded about the time years ago when Ralph Lauren was the most prestigious collared shirt people could wear. Throughout my youth I’ve innately learned it doesn’t get bigger than Ralph Lauren. Ralph Lauren is a pantheon of American fashion — Kanye West telling Sway “It ain’t Ralph, though!” is all the proof we need. Nobody questions the legacy of Ralph Lauren. It has been a staple for street kids, preppies, hip-hop kids and all of their fathers. It’s damn near as untouchable as it gets when it comes to American fashion. “It’s the only brand you can wear to a board meeting, a funeral and go to the football game in — and all in the same day,” Palace co-founder Greg Skewis told the Business of Fashion. That’s what makes a collaboration between Palace and Polo so special — the heritage both brands have curated should seemingly never coincide. But in today’s fashion culture, it’s no longer rare to see a company collaborating with streetwear labels. Street brands like Supreme and Off-White, and even hip-hop music, are most impactful on pop culture. In turn, we’ve seen Gucci, Louis Vuitton and other legacy brands work with streetwear brands. Still, Polo’s brand has always brilliantly stood on its own, so the announcement of this collaboration was completely unexpected. While the love for Polo has been embedded in street culture for decades — way before seeing street kids Bloody Osiris and Slick Woods in the Snow Beach advertisements — we haven’t seen Polo indulge in street fashion. Palace was started in 2009 to pay skaters to skate for a living. The founders aren’t trained in fashion, yet they have created a brand that is continuing to grow at a rapid rate. According to the Business of Fashion, Palace Skateboards Limited, the main trading company, had a 79 percent jump from 2016 to 2017 where they did about $18.5 million in turnover. From Jan. 12, 2017 to Jan. 31, 2018, the company raked in about $33.3 million. Now, they are collaborating with arguably the most highly regarded American fashion brand there is. Skewis told the Business of Fashion this is a massive moment and a real pinnacle for him and his co-founder. Palace isn’t a stranger to working with larger companies, though. With collaborations with Adidas, Reebok, Avirex and many more, Palace has been one of the modern streetwear brands, along with the likes of Gosha and Supreme, to push the constraints people once thought streetwear had. As a result, it has become a undeniable cash cow everyone wants in on. We’re seeing a generation of streetwear brands go mainstream without losing their souls. This is the death of the concept of “selling out” because, as time tells again and again, the entire world is buying in. 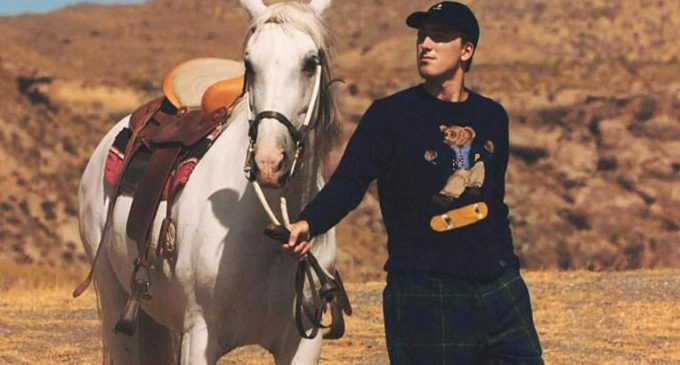 The Palace x Ralph Lauren collection is slated to be released in the U.S. on Nov. 9 and online on Nov. 10.